Like sand in an hourglass, Allai’s future is dwindling away. She’s spent her entire life fighting the Mages who threaten humanity, and dreams of someday eradicating magic. But all it takes is an anonymous phone call for the truth to spill out: Allai is the one thing she despises most. Though ancient law mandates Allai’s death, she still has one last chance of survival. His name is Drake Rhaize, and he swears he can lead Allai to a sanctuary for Mages. Allai hasn’t seen Drake in years, but she remembers him as the Demon boy who used to hold her close and softly whisper that he’d keep her safe. But Drake has changed since then: he’s now suspected of murder, and has been out-cast for betraying his own kind. While Allai doesn’t trust Drake, she has no choice but to put her life in his hands and hope he can get her to safety. Because Allai’s father has hired a pack of Demons to bring her back to him, dead or alive–and Demons never stop the hunt. "Frost Fire" is a YA Paranormal Romance intended for ages 14+. Frost Fire is a “Good Reads and Good Deeds” book. All net proceeds for Frost Fire go toward the Dysautonomia Youth Network of America, a charity that supports youth with medical conditions affecting the nervous system. 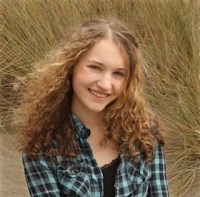 Olivia Rivers is a high school student, a literary agent intern, and an obsessive-compulsive reader. She has a slight obsession with Kootenai County in Idaho, and she’s pretty sure life will always be awesome as long as Irish accents exist. She lives with dysautonomia, a chronic medical condition affecting her nervous system. Portions of proceeds from her Tortured Elements series go toward supporting youth with dysautonomia. 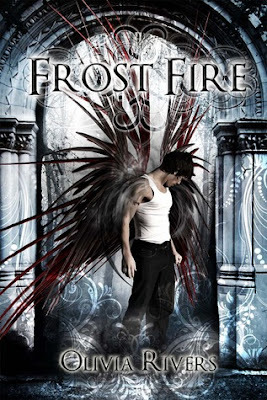 Up for grabs is one (1) ebook copy of Frost Fire. Open internationally to anyone who can fill out the form. Just don't forget to be awesome.